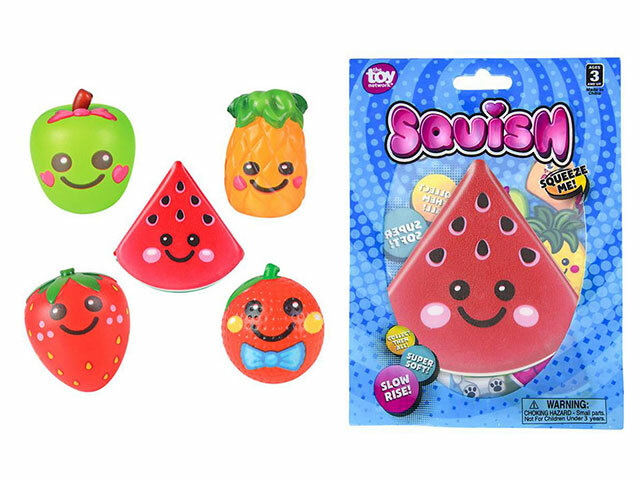 Slow Rise Squishy Fruit: Super squishy memory foam makes these 3 1/2" cuties irresistible! A real handful for both children and adults, they cheerfully take all you can give then slowly bounce back to shape. Go on get it out - squeeze as hard as you'd like. They can take it! Fun stocking stuffer, that can then sit on your desk, in your car or on the table just waiting for you! Assorted styles sold separately.